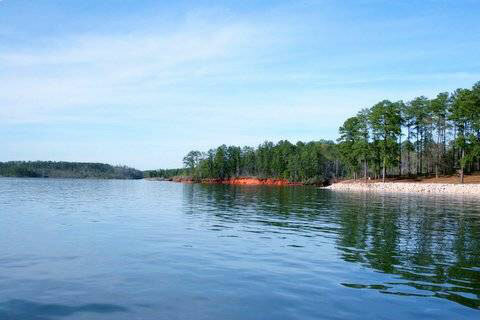 SAVANNAH, Ga. – New 2015 annual passes for day use recreation areas are now available for purchase at the Corps’ Savannah District’s three dam and lake projects — lakes Hartwell, Richard B. Russell, and J. Strom Thurmond. J. Strom Thurmond Lake Visitor Center, 510 Clarks Hill Highway, Clarks Hill, S.C.
Richard B. Russell Lake Visitor Center, 4144 Russell Dam Drive, Elberton, Ga.
Augusta Marine, 4250 Belair Frontage Road, Augusta, Ga.
Sportsman’s Corner, E Martintown Road, North Augusta, S.C.
Cliatt’s Crossing, 3850 Augusta Highway, Lincolnton, Ga. Annual passes sold in 2015 have a 2016 expiration date sticker. Annual pass holders must hang the pass from the vehicle’s rear view mirror to display the expiration date on the decal. Open vehicles such as motorcycles or jeeps must display the decal directly on the rear view mirror, or any other easily visible location on the vehicle. For more information, contact a Corps office near you: J. Strom Thurmond Lake Project Office at (800) 533-3478; Hartwell Lake Project Office at (888) 893-0678; or Richard B. Russell Lake Project Office at (800) 944-7207.